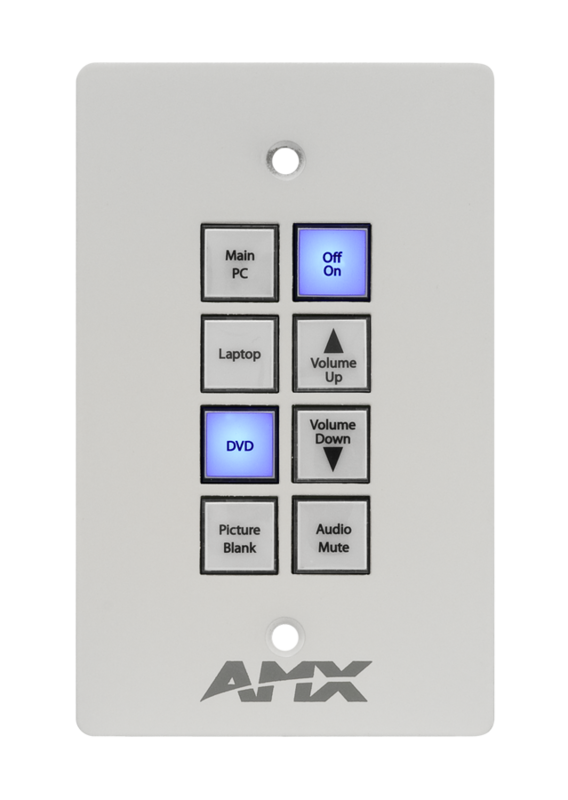 Novara Ethernet KeyPads feature an 8-button layout, integrated Ethernet interface and fit standard 1-gang US back box sizes. 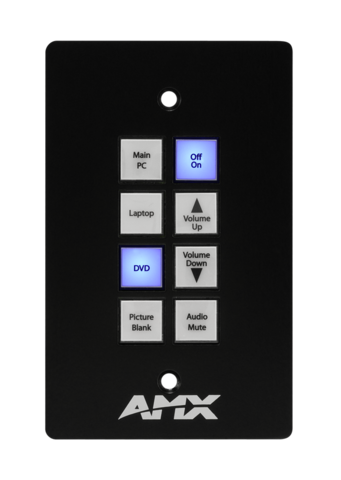 These KeyPads are extremely versatile, they can be used to directly interface with NetLinx Controllers by Ethernet connection. 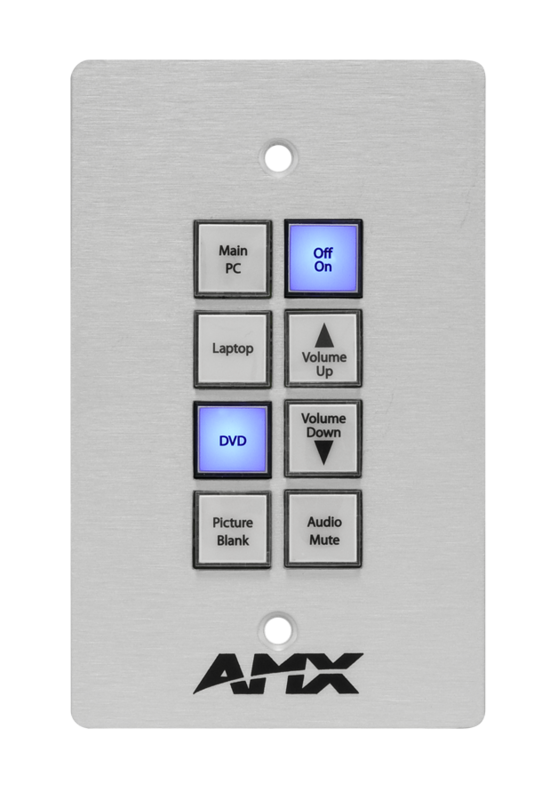 For added convenience, your Ethernet connection also powers your KeyPad, thus reducing the need for an external power supply. 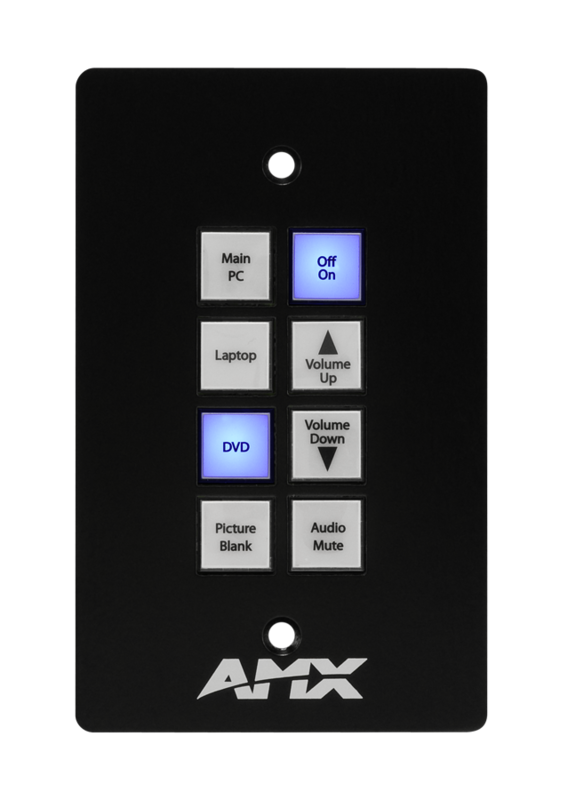 A good choice for expanding control in schools, government and other applications requiring cost-effective control without having to re-train users that are already familiar with the look and operation of AMX ControlPads.